James R. Brown concentrates his law practice in municipal law and real property law. He represents many townships, villages, cities and other municipal bodies throughout West Michigan and elsewhere in the state. His law practice has a particular emphasis in the representation of townships, and he serves as general counsel for a large number of townships in Kent County and in surrounding counties. Jim is also an experienced township official, having served for 25 years as chairperson of the Grand Rapids Township Planning Commission. He also served for 20 years as chairperson of the Board of Zoning Appeals of Grand Rapids Township. He is an active member of the Michigan Townships Association and has written and lectured extensively on legal matters affecting townships, villages and public authorities. A significant portion of his practice involves zoning and other land use matters. 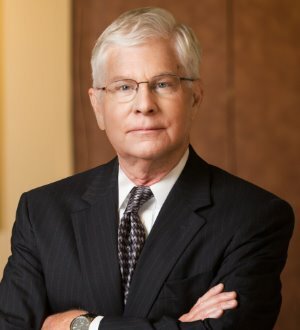 He has drafted zoning ordinances for many local governments in Michigan, and his articles on zoning and real property law have appeared in the Michigan Planning and Zoning News, the Michigan Real Property Review, and other publications. He is also active in representing district libraries and other types of libraries established by local governments. Jim also has an extensive real property law practice, and has been active at the state level as an officer of the Real Property Law Section of the State Bar of Michigan. He served for several years as a member of the Council of the Section. He is a former chairperson of the Real Property Law Section, and been a member of the State Bar Land Title Standards Committee for more than 25 years, and is a former chairperson of that committee.